Rocket League Goes Full Cross-Platform Today | Nerd Much? Psyonix has been teasing their availability to provide Rocket League players with full cross-platform support for some time now. They apparently just needed the go ahead from Sony to activate it and make it happen. Well, they apparently were given the greenlight as the studio announced that Rocket League cross-platform support is now live. The team is dubbing, just as Sony did, as their “PlayStation Cross-Play Beta program”. 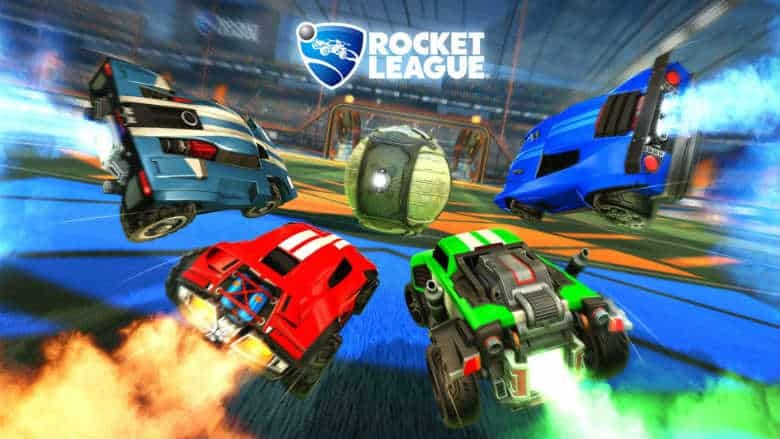 The setting is turned on by default, and allows PlayStation 4, Xbox One, Nintendo Switch and PC players to all coexist in the same Rocket League ecosystem. Previously, PlayStation 4 players could only be paired with other players on PlayStation 4 and PC. While you can match up via cross-platform play, you won’t be able to chat with one another – yet. Coming at some point in the near future, Psyonix will be implementing their RocketID system that will incorporate a cross-platform party system. It’s intended to launch within the game’s first update of the year. We’ll be hearing more about that “soon” from Psyonix. Rocket League now represents that second PlayStation 4 title to get full cross-platform support. The first being Epic Games’ Fortnite which activated their PlayStation 4 cross-platform ability back in September. Hopefully we’ll be seeing other popular online titles getting the go ahead too.